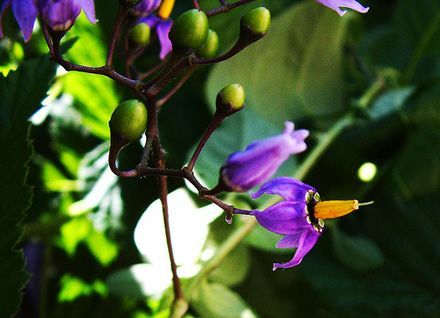 Deadly Nightshade is commonly referred to as Belladonna, which means ‘Beautiful Woman’. This is because, in the past, women would use this plant to dilate their pupils, making them more attractive. However, this came with rather serious side effects, apart from the plant’s deadly nature. The use of the plant caused extremely blurry vision and jumbled speech. So, in actuality, this plant did not assist them in wooing any suitors. Love the new name and the new décor! Thank you! I thought an update was in order, so I recruited a friend to help me out. A fresh pair of eyes and a second opinion is always useful.